Here I took a screen shot. and it does this all the time when you do a market order. It immediately goes against you. This is just one example I could take more and it would show the same as seen on the lower time frames. Hope someone can help me figure out why it does this. As much as I’d like to say it’s the broker working against you - it’s not. I’m sure that if you check other brokers’ charts it will look similar. This proves a number of things. First, never open or close a trade at the open - what did you expect? Second, your broker did not move this price against you - no brokerage can move the Dow 50pts and none would dare move their Dow cash market so far form the underlying, they would get slaughtered. Third, 10-second charts are useless for trading decisions. I could go on but I hate flogging a dead horse. I don’t understand how I can be picking the exact moment to open an order in the wrong direction on every occasion I make an market order. As soon as I put the sell order it started buying up and move 80+ pts. The open and close at market why should i not be doing it why is it significant to avoid. I understand it may be volatile but volatility brings opportunity no? 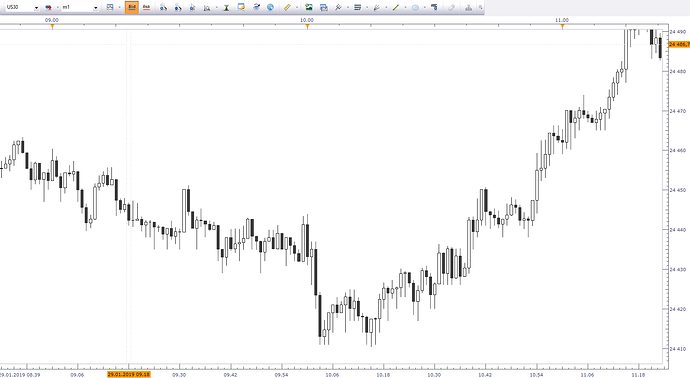 If someone is scalping the market they might use the smaller time frame for trading no? If you would like ill do another market order you choose the product and ill take a screen shot. I want to understand why it happens. If its not the broker, why does it happen that all I want to understand. Personally, I still think your problem is due to you trading the “DcR” method! What is that, do I hear? Think of how a dog chases a rabbit and what happens every time the dog gets near to the rabbit - the rabbit suddenly changes course. 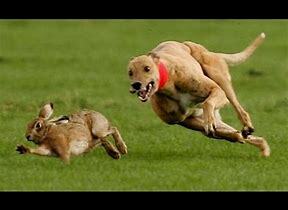 Seems from your screenshot that you are the “Dog” and you suddenly see the “Rabbit” running fast past you and you chase after it - but too late, the rabbit turns back on itself. Together with the screenshot from @bradley79 above, that is three brokers all showing the same move. So I think we can conclude the fault does not lie with your broker? OK so what is the problem here? I cannot tell from only one trade here but I suspect you do not have a clear method here to determine your entries and exits. 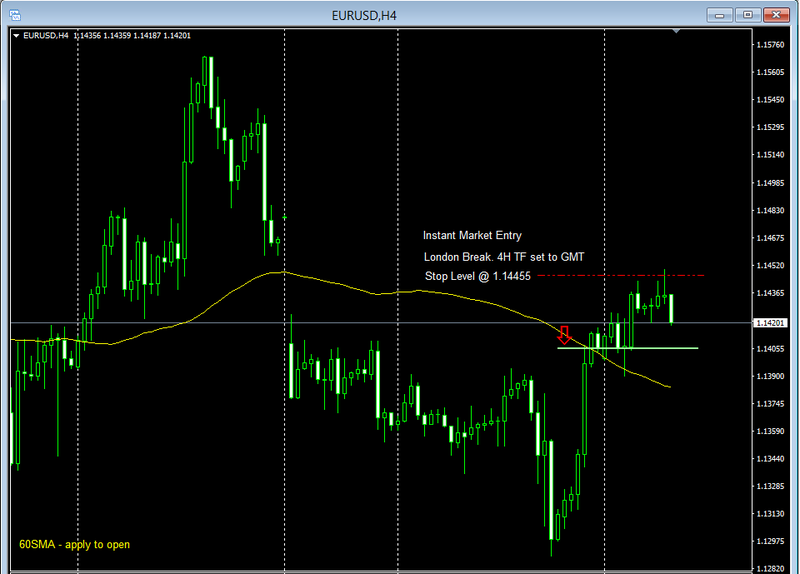 Here is that same 2nd broker with my own method placed over it. I am not for one sec (or even 10 sec! ) suggesting you should use such an approach - this is purely an example to demonstrate that some kind of tangible strategy can change the way you are entering/exiting positions. 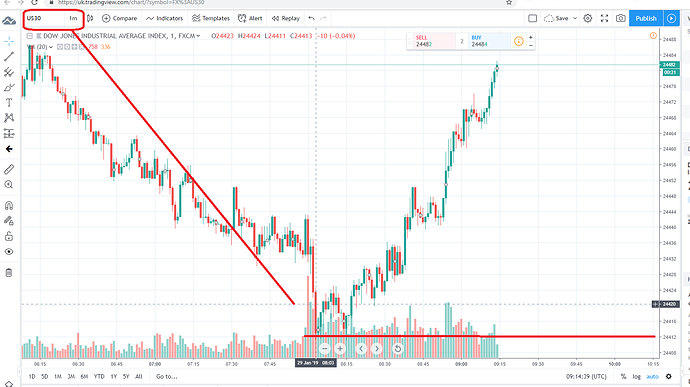 Just prior to that last blue circle where the market is exiting, if you look at that rectangle, there is an IDENTICAL SET UP to the steep drop that you sold into but in the opposite direction!. One could imagine that you would have also bought into that fast rise for the same reasons that you sold when you did on that steep drop. If that is so, then I really believe that all the evidence points to your entry/exit strategy. It is getting you into trades too late on this kind of timeframe. I would suggest that you heed to what @Tommor has said and reconsider what TFs are most suitable for you and leave the DogchasingRabbit technique to nature! I am not at all suggesting its the broker doing it. The 2 other brokers screen shots you include, that will naturally all be very much identical to my broker no? 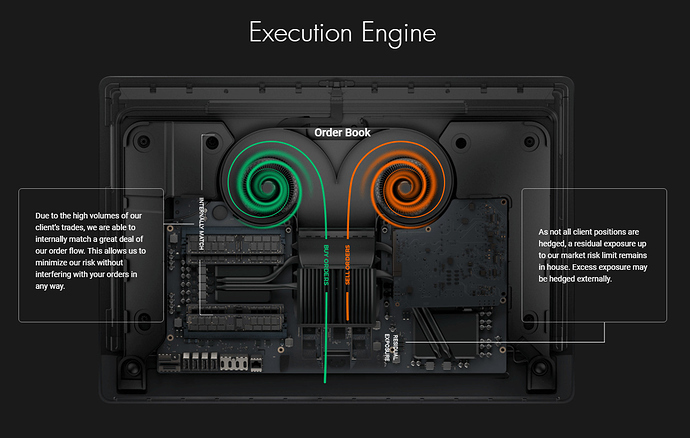 because they should all be showing the same movement. As one broker cannot have a different chart movement to any other right? The same movement is replicated across all the brokers as far as I am aware. There was sell volume so I went with that and all of a sudden it decides no it wont go down further instead it reverse at the exact point of my entry. Odd no? It could of gone down further with momentum but decides otherwise. Maybe try it as a test on the lower time frames to see what I mean. put like 0.01 cents or something to see it happening. Its really strange, and then once it goes against you close the position and its reverse again, I am not lying. it what I am see. When you say volume, you are, of course, only looking at your broker’s own customer volume? There is no volume indicator for the forex market in general. The only volume info that the broker has is from their own trades (I think!). SO on a 10 second TF, I could imagine that those volume figures are actually quite a small sample and probably include the bulk of scalpers who are looking for small pip profits. 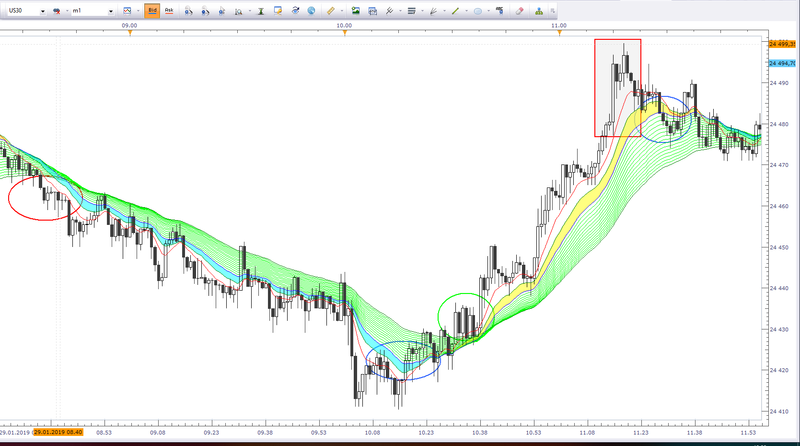 This would certainly explain why they all get out at the end of a steep move of a few pips in 10-30 secs. And then on to the next opportunity. If that is the case, then when you are watching volume you are watching others already entering the market before you…and then you enter it just as it reaches their target range, and most scalpers, by definition, will be looking for similar-sized profits and jumping out simultaneously. Looking at volume increases on this basis is probably leaving you out of synch with the timing of these short term moves? I am starting to think its the market participants waiting for sellers to come in and buy it cheaper price (or buy at high price) then to shake me out. I have my stop loss at 181 pts away from entry and I am going to pretty much bet that its going to take me out by 3pm then drop when US data come out. Market manipulation at work. lets see. You just don’t have an edge and you’re blaming the markets by now discussing manipulation? Yes market players do drive price, and yes they do have opposite bias to the net retail crowed - but that’s not why you’re entering at the wrong level and price is going against you more times than not. You’re just late to the party, that’s all. Edit: Get rid of volume analysis and delete any charts which are below a 15min time frame, preferably any which are below 1Hour and perhaps, just perhaps you’ll start to see the picture a little more clearly. I’m being biased towards what works for me, I also used to use the ‘micro’ TF’s and is was never pretty. Then why are you still in the trade?!! Firstly, no one is gunning for you personally, Secondly, it is not market “manipulation”. If it happens as you say, then it is just a lot of other people doing things differently to you. I also believe there are certain times of day when large participants in the market can/may move the price a small distance, but this is not a conspiracy, they do not all tweet each other and gang up on the small fry - and believe me it would take an awful lot of plankton sized retail traders to make this worthwhile for even one institutional trader to get out of bed early!! You are seeing normal market practices and calling it conspiracy. It is not. Conspiracies are the likes of the Libor manipulations etc on a huge scale or the likes of the Lehman Brothers junk bond saga. This is nothing more than your trading approach is wrong. Both timeframe and volume chasing are not working for you, it is as simple as that. Change it and move on. If you remain convinced that the entire market is somehow looking to kill off the little retail traders then it would be better to give up trading - because if that were the case you will, by definition, never beat it! I am still in the market to show that its fixed. It will play dirty games with my trade and ill crush it as soon as possible. If not today another day. 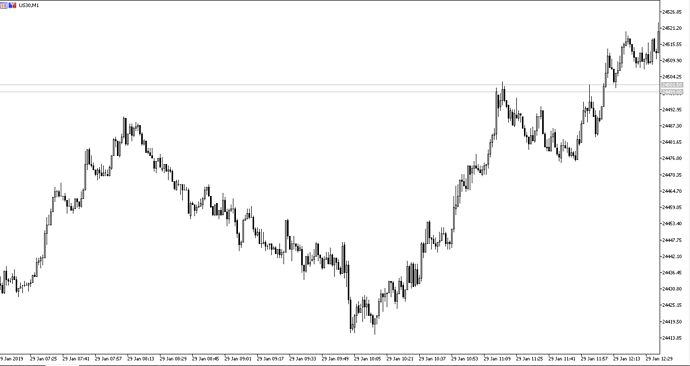 I just did it again with eurcad sold then look at the chart. You have excluded your broker as responsible for the problem and said that you believe it is the market that is causing the problem. Well, whether you believe it is manipulation or not, you cannot change that because the market is bigger than you or I and beyond our control, so the answer is simple. It is not working for you at all using your current approach (whatever the cause) so either you give up trading, go broke, or change what you are doing to something that works. There are many ways to trade the market, look for something that will reward you rather than frustrate you! See my screen shots its doing it again and again. Yes, I see what you see but I think I also see something else…there are two other identical dips prior to your trade which SHOWS YOU that your entry approach is wrong - totally too late and after the event! You are the last man in on every trade. Do you not see that from your own charts? You are simply out of synch with the normal market cycles, that is all. I am done here now, I cannot think of anything more constructive to say, I’m afraid. Silly to just repeat the same thing. Sorry that we couldn’t help you more. You do realize that your trade that you are placing is not even hitting the market? It’s just clumped together back of house with your broker and netted off in-house with all their other clients. Likely to never leave your broker actually. Really even if its a market order to buy or sell at that price. This is the basic broker model that most retail brokers operate - it’s unlikely that most retail traders will ever have direct market access in it’s true sense as it requires professional accounts which are very well funded. Some of the better brokers out there actually openly admit this and show how it works - and it’s not a bad thing for a broker to do, it makes perfect business sense. I don’t really like the graphic, and it could look a lot more professional, but it remains that they admit to inhouse aggregation and the netting off of longs and shorts. Any exposure is then potentially passed into the actual market at such average price. I yesterday placed a short in EUR.USD - as soon as my stop was hit price has moved down into my original favourable direction. It happens, just accept it. You said it happens and to accept it. But don’t you want to understand why it happens though. I know why it happens - it’s the basic principle of how markets operate. You can’t be right all of the time.